Back again. Yesterday was a sick day and The Boy took care of things while I doctor wrangled etc. 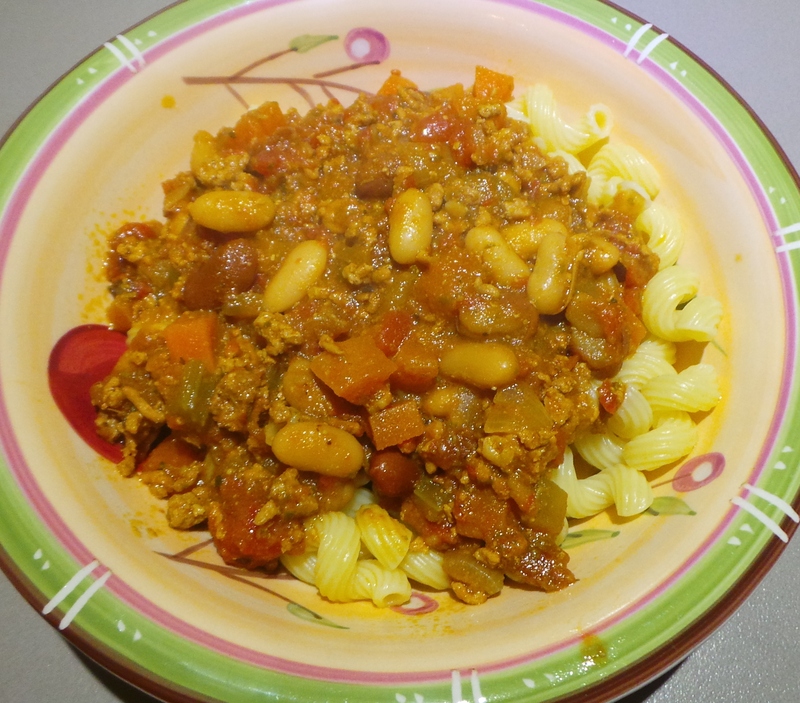 However, tonight the kitchen was reopened for business and we had a nice macaroni bolognese – cooked mostly in the slow cooker. Slow cooker to the rescue again. Actually it was a riff on the Chilli con Carne recipe I posted the other day. 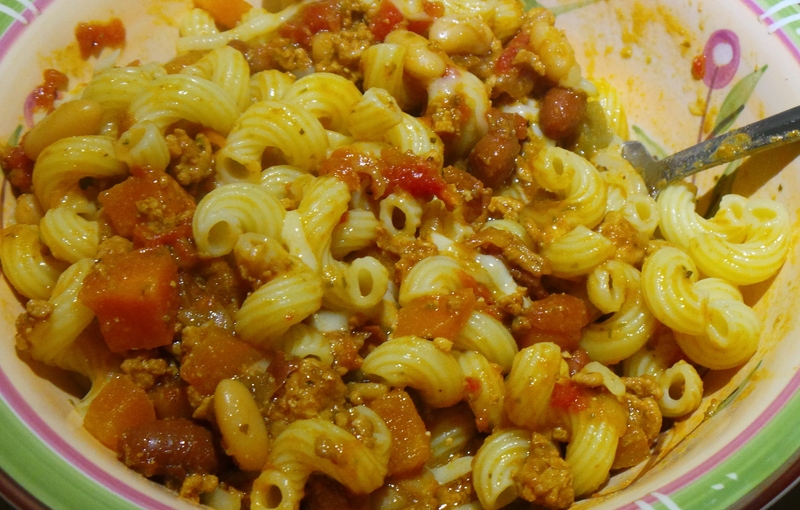 I followed exactly the same process, but substituted ingredients with the aim of making an Italian-style dish. Pork for the beef, basil pesto for the sun-dried tomato one, borlotti beans instead of kidney beans and all served over macaroni instead of rice. 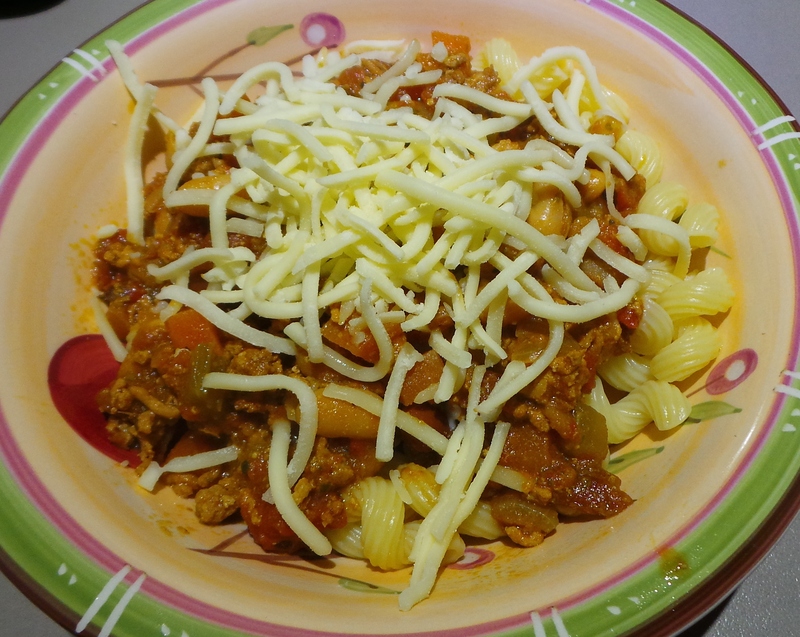 27 July, 2015 – leftovers, FTW!